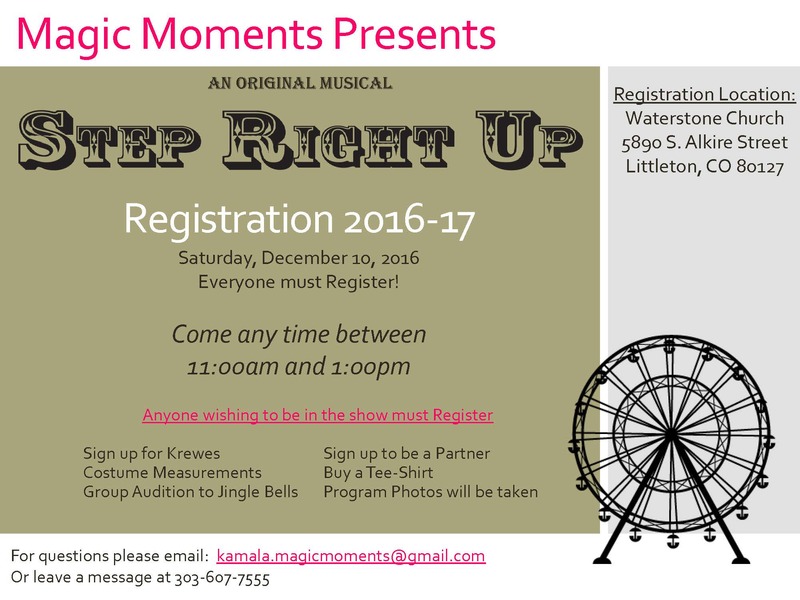 Registration for the 2017 Show “Step Right Up” is happening on December 10th at Waterstone Community Church between 11am and 1pm. If you want to be in the show you must register! Rehearsals for the show will start January 22 2017 and performances are March 23-26, 2017.